A strong low pressure system is traveling from eastern Colorado to Minnesota and brought the possibility for blizzard conditions in the Northern Plains and severe thunderstorms farther south. Blizzard watches were issued across parts of North and South Dakota. Snow is most likely to fall on the backside of this strong storm system — Nebraska, the Dakotas and Minnesota — while rain is more likely ahead of the system — Kansas, Oklahoma, Iowa and Missouri. 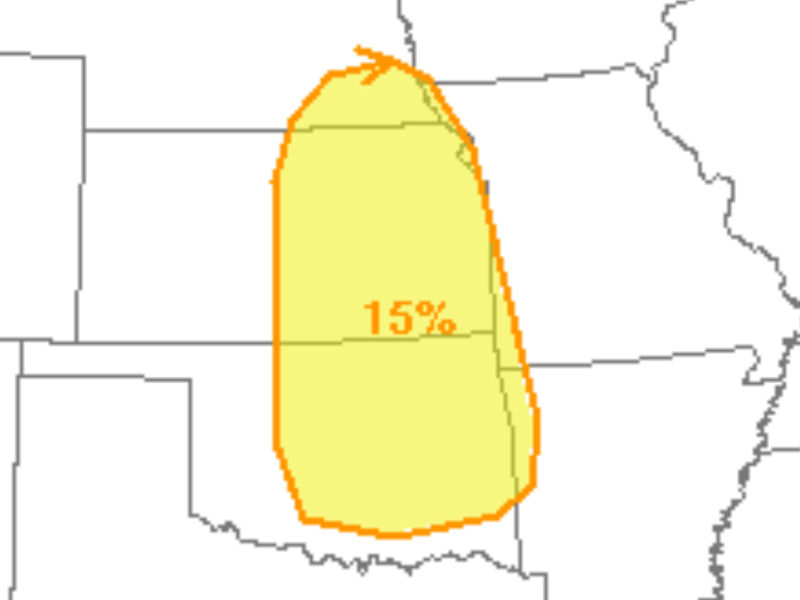 A few storms could even become severe in parts of Oklahoma and Kansas. This nasty weather will move into parts of the Midwest and the Northeast in the couple of days after Christmas, but the system will significantly weaken in the days following the holiday, too. This storm shouldn't ruin Christmas even though blizzards, severe storms, floods and even hurricanes all have in the past. It will however, likely make travel a little slower in the middle of the country on Christmas and the days to follow.